Before this Jenner frenzy goes the way of the magic dress and the ice bucket challenge, I’d like to pause and consider a question: What role does God play in human conception? Did God make Jenner a man, but Jenner, in an act of human arrogance and rebellion, tried to play God to the unanimous applause of the equally-depraved masses? Or is the genetic process simply a part of this fallen world, and sexual confusion should be just as natural as our moral and intellectual confusion? This answer would affirm a laundry list of scripture about the sovereign rule of God, how he upholds his Creation and sustains it with his power (Col. 1, Heb. 1), how his will is always accomplished (Eph. 1, Job 42). It also affirms several very specific verses about God knitting people together in the womb (Psalm 139), how he knows them and sets them apart (Jer. 1). Is there any way to argue against these passages? Aside from trying to put together a list of contradictory scriptures and arguments, there are some moral, logical and scientific problems that immediately crop up when we take God’s ultimate sovereignty in one hand, and the condition of the world in the other. Unless, of course, we’re okay with God being a liar. Would a God that claims to be good “knit together” a child with fetal alcohol syndrome, as if to punish the baby along with its mother? Would a God that claims to be loving allow abusive parents to have plenty of children while making good, Christian parents infertile despite their efforts and prayers? Why give certain people a raw deal from birth, but stack the deck for others? Is God not fair? To stand resolutely with Question #1 is to praise God’s sovereignty at the expense of his character. Unless, of course, we pull the mystery card, assuming that God wants us to live our earthly lives with no clear proof of his goodness. We’ll just find out how good he is when we’re dead. This answer would clear God of any and all responsibility. Sure, he set everything in motion, but he left the day-to-day up to us. We are born, we live, we make choices (hopefully good ones), and we die. God is on the other side with a smile or a frown. That makes fetal alcohol syndrome a sad but natural part of life. If you choose to drink, you choose the possibility of doing something stupid, like saying the wrong thing, getting arrested, killing innocent people when you drive drunk, or even bearing a child that has to struggle their entire lives. If we embrace the concept of sin, we have to believe in the freedom of personal choice. Does that mean God is only partially sovereign? Can our sins lie outside of his will? Another thing, if procreation is just a part of nature, we should be able to reproduce the process in a lab. 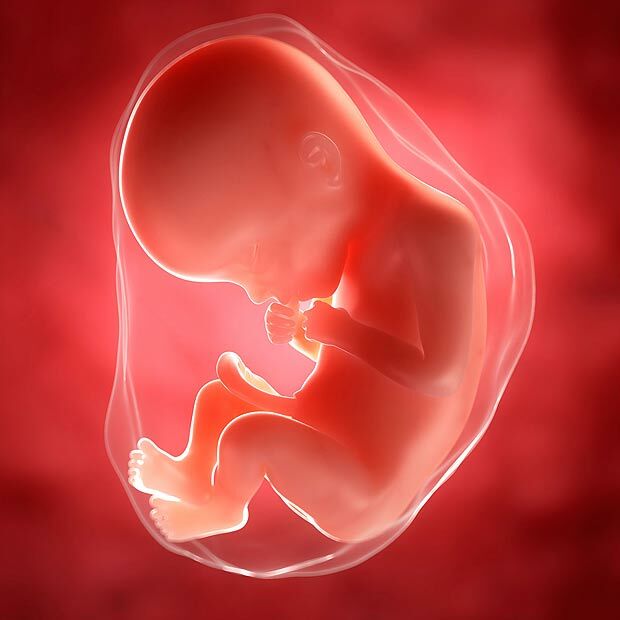 Come to find out, in 2008, researchers successfully created the first five mature human embryos using somatic cell nuclear transfer (SCNT) where the nucleus of a somatic cell was taken from a donor and transplanted into a vacant host egg cell. The embryos were only allowed to develop to the blastocyst stage, at which point they were studied and then destroyed. So we know we can do it, but it is globally illegal, and all our Dr. Frankensteins are either waiting in the wings or keeping quiet about their secret labs. To stand resolutely with Question #2 is to praise God’s character at the expense of his sovereignty. But what good is a benevolent God that has no power to bring justice on the earth? Does human freedom turn God into a weakling? In my view, the problem is not that we have a theological knot to untangle, but that we don’t have a clear understanding of what the Bible really teaches. Our churches are packed with people that struggle to read the Bible, and if they do, they don’t really understand it. They much prefer to listen to an inspiring podcast, or read a devotional, or do a book study. Cud. God is in control. Everything happens for a reason. To err is human. We are all sinners. We live in a fallen world. We should go to church, pray and lead righteous lives so that God will bless us and be involved in our lives. With hurricane Katrina we all band together on statement #2. This is a natural disaster, part of a fallen world, nothing more. God is not judging the prevalence of religious or sexual depravity in that city. To even suggest such a thing would be to invite labels of hate or fundamentalism. We hold one view in each hand, ignoring the contradictions, and use them to appropriately combat the circumstances in our day-to-day lives. Rather than hunting and pecking our way through the Bible, we need to filter every verse through the overarching storyline of redemptive history. We need to understand where we’ve been, where we are, and where we’re going. Heaven and earth were created to exist in a relational unity, but that unity was broken. In the third chapter of the Bible, Adam and Eve are cast out of Eden, a state of divorce that is typified as a “veil” through the rest of scripture. Jesus is presented prophetically as a stairway or ladder, connecting heaven and earth, an earth that is presented in the New Testament as one that is under the dominion of the devil. Jesus comes to reclaim what was lost, dying to put the old system to death, and rising again to offer the creation his own resurrection life. This life is experienced now in a limited, spiritual sense, but when the connection between heaven and earth is restored, as expressed in the second to last chapter in the Bible, God’s beautiful and complicated redemptive plan will be fully realized. God, in his sovereignty, plans to redeem his creation, but the redemption process has been gradual and progressive since the fall of man. We may not understand why he moves so slowly, moving from one covenant to the next, one person at a time, but this process does not contradict his will or his character. There is a separation between a heaven governed by God and an earth governed by man. When God handed the earth to Adam, he never took it back. Therefore, in his fallen state, man became a slave to the most powerful creature on the planet—Satan. Creation has not been reunited with heaven. Not yet. Why would Jesus pray for God’s will to be done on earth as it is in heaven, if God’s will was already being done on earth? Why does Hebrews 2 claim that all things have not yet been put under the feet of Jesus? When all authority in heaven and earth had been granted to Jesus, why didn’t he just kick out the devil and fix everything right away, rather than sending those twelve men into the world to gradually take it back? Apparently human freedom is that important. Since we are still a part of this “not-yet” creation, we should expect the kinds of depravity and corruption that we see on a daily basis. As Romans 1 makes clear, we do it to ourselves. A creation that makes a god of creation should expect to become warped and twisted and ultimately die. That’s what we see. And none of us are exempt. Let’s take a lesson from the man born blind. The Pharisees asked Jesus why God made the man blind in the womb. Who sinned? Jesus resisted this common worldview, claiming that it was not sin that made the man blind, but that his blindness would ultimately reveal the goodness and ultimate intention of God. God would be glorified by his healing. This was not just true of the blind man. Every time God redeems or heals, he illuminates his intentions for the age to come. This world is not going to be repaired, it’s going to be renewed. Sure, Jesus gave us a teaser trailer of the age to come when he spoke truth, healed bodies and raised the dead in the first century, but all of those people died again. They were all part of this age. But the age to come . . . that is what we should be eager to see, that is what we should be working toward. Not just an escape from earth to heaven, but to see heaven reunited with the earth, like a husband coming for his bride, resulting in love, joy, peace and new life. That is our hope. This entry was posted in Christianity, theology and tagged conception, human freedom, Jenner, new age, sovereignty. Bookmark the permalink. How does this grand scheme specifically apply to the Jenner situation? Well, if you agree with the first chapter of Romans, you have to believe that when the creation was estranged from its Creator, the minds and bodies of human beings were affected, and not in a good way. Romans 8 describes an entire creation that has been corrupted, waiting to be renewed. Adam bore a son in his fallen image and likeness (Gen. 5:3), and humans have been born in the image of Adam ever since (I Cor. 15:49). We should not be surprised when children are born with any number of issues, whether physical, mental or sexual. Our bodies are part of this corrupt world, and Paul is very clear that they will ultimately be redeemed (Rom. 8:23). If God makes us perfect in the womb, why would our bodies need to be redeemed? They are as needy of redemption as our spirits. Well, this is not a word of prophecy, this is not a scientific journal, and it is certainly not a theological treatise. This is a poem about David’s intimacy with Yahweh, written in poetic language from David’s worldview. In verses 7-10, he asks where he could go to be separated from God’s Spirit. Heaven? The underworld (Sheol)? In other words, from the highest heights to the lowest lows, you are with me. He’s not saying that God’s in hell. Sheol ≠ Hell. And, as far as we know, there is no such thing as an underworld for the dead. Verses 11-12 speak of a similar concept, but using light and darkness. David claims, “Darkness and light are alike to thee.” David is not saying that God is the author of both good and evil. You’ll be better off taking the sentiment of Psalm 23 and applying it here. Not Romans 9. Then we have the forming in the womb in verses 13-16. Not only does this resonate with David’s worldview (was he really supposed to understand genetics? ), but he also talks about how his bones were made in secret in the depths of the earth (?!) and how his unformed substance was written in God’s book, where all his days were ordained. Again, this is not prophecy or theology, this is a beautiful poem written by a man around 1,000 BC. It reminds me of Hannah’s prayer in I Samuel, when she expresses God’s blessing in her life by expressing how God established the earth and set it on its pillars. Pillars? Of course. What is Hannah supposed to say? Placed it in outer space and spun it on its axis? Now for Jeremiah 1:5. “Before I formed you in the womb, I knew you. And before you were born, I consecrated you. I have appointed you a prophet to the nations.” These are the words of God through the mouth of a prophet. Shouldn’t this prove that God forms us in the womb? First of all, one would expect God to speak to people according to their understanding of the universe, just like we adjust our way of speaking to children. The truth is there, but not the science. Science would only confuse the message. Second, as I mentioned in the post, God’s mission is redemptive. If Israel needs a prophet, God has every right to raise one right out of the womb. He didn’t ask man’s permission to send a flood, or to rain fire on Sodom, or to choose Abraham or David, or to send Christ. God’s redemptive program may seem slow or passive from our perspective, but he is certainly not hindered by human sin or human freedom. Assuming this is the Bruce (Caitlyn) Jenner “frenzy”? Biology notes that women have two “x” chromosomes and men have an “x” and a “y” chromosome that identify gender in every cell in the body. This can NOT be changed with rhetoric or surgery. Sexual preference may vary according to hormone levels, but gender is locked into every cell in the body. Regardless of how the cards of gender and preference are dealt, God tells Cain that we may rule over sin. This is the down side of free will. We may choose to do something that we do not really want to do. We may even choose a destructive path. God is watching and will reach out when it is time to do so. Many believers will testify that they awoke to spiritual salvation after they were physically saved by the hand of God. Ultimately we will be saved for all eternity… if we choose to believe. Meanwhile, can we just have faith that God has our backs, and knows what He is doing?